I surely wouldn't be convinced to deposit anymore in ActivTrades because of their weak trading system and bad platform. I opened an account with them in the past month because a friend of mine recommended it to me when he showed me proof of his profits that he got around 30% every trading. Honestly, my first trdaing experience is pretty good, I've earned $50 of deposit $100. But after I made my second deposit, their spreads getting so ridiculous that it is impossible to profitably trade, its floating unitl 2,5 pips. And when I complained to them about it, they only told me that there's nothing they could do about it. So I decided to stop deposit and trading here, and said to my friend that he choose wrong broker. I would not recommend ActivTrades. ActivTrades is a not good broker when it comes to execution, spreads and slippage. Huge slippage on volatile markets, during the last US unemployment rate change news announcement I got filled 24 pips outside of the spread 3 times in a row on EUR/USd pair. Another disaster things is that rollover cost and commissions too high compared with other brokers. I was being rollover charged on a long $35 GPB/USD position and short 54 EUR/NZD position. I will not deposit single penny with them anymore. My experience ActivTrades was terrible. I have been am using my customize EA with their platform when my EA makes large profit, they disable my EA is shows 'Automated trading is disabled' error. During Last BOJ monetary policy meting , I have observed the spread on my USD/JPY widen to almost 23 pips but they advertise that they offer 0.5 pips on USD/JPY. I will never trade with them anymore! Be aware this broker is not good.! I don't know why some people say they have a bad trading experience in ActivTrades. They feel disappointed because they lost the money several times due to the variable spreads and Mt4 platforms freeze performance. Anothers traders said this broker lied about the bonuses they offer to every traders. When the trader contacted their customer support, they promised to give the bonus in a week, but its nothing. I am still a beginner, but for almost 1 year as their trader I have never experienced a bad trading experience. I got the welcoming bonus and profit about 15% to 25% in every trading. Most of the time the I got 0.5 pips on major pair and even during the high volatility market they do not increase their spreads. I am sure, in trading there must be a mistake and that happens when I'm making a withdrawal. In that time they didn't proceed my withdrawal so far. I call the support and then they sent me emails '' Dear client, We would like to inform you that your withdrawal process is experiencing difficulties to improve account security system. You will be informed and the process continued in maximum within 3 days. Although it is too late, but their system works responsibly. Until now there is no reason for me to leave this broker. I couldn't trade with this broker. I had a standard account with a 100$ first deposit. The platform MetaTrader 4 has delays all day, not only during volatility time. After I called their support team they said they just changed the server and will fix the problem. After the second month and a loss of 300$, trading major pairs EUR/USD, GBP/USD, USD/CAD, USD/JPY I closed my account. I have been trading with Activtrades for almost 4 months now and things were okay. Have opened small micro account and ave me 10% bonus. But all of the sudden, every trade for the last month has gone significantly negative. Account balance changes happened without notification. Spreads have widened EURUSD up to 5 and GBPCHF up to 10. Execution used to be great, now delays for no reason and requotes when the market isn't even moving.. It didn't take long for me to realize they had changed for the worse, and I have wanted to close my account. I emailed the support but they are terrible in every way. They have been delaying my request and tired of my emails got ignored. I was trading with ActivTrades only for 2 months and 2 weeks, because it is very unstable and they changes the trading conditions constantly without notifying me. At the first time, all the trading process run according to their trading conditions, the spreads are fixed from 0.5 pips and I can make a payment via credit and debit cards. But last week I feel the the spreads going floating and I must make a deposit via international wire transfer. Besides the platform it has some delays and freezing during the big news feed. I contacted the support team asking about the conditions but their answer was really disappointing and unfriendly. In my opinion, if they are changes the trading conditions constantly without notifying traders its a a big wrong and what a scam broker did. I hope my problem will be fixed s soon as possible because after that I'll close my account. 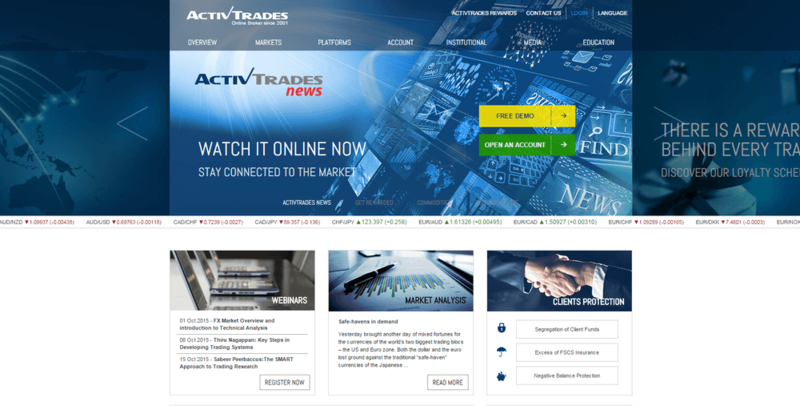 I am dealings a premium account at ActivTrades borker since July 2017. I have used to trade MT4 Platform, which is so complex and froze most of the time, Sometimes my TP and SL didn't work on the platform. Here my no one trade didn't execute in the proper position. I think their spread is very exclusive in the market, always I get negative slippage too. As yesterday I have opened a position where I have found 70 pip spreads during nfps. So I think I have to go a another broker and I make a withdrawal request to return back invest with a profit of amount $560 via Neteller last week. But today I received I email where they said they have been canceled my transaction. Now I also think to make a complaint to their regulator FCA . I was definitely have losses with ActivTrades even after a year with them. I worked on demo account almost a month and after comfortable I started again trading activities via the real account. Initially, I dumbed $500 to start trading and definitely money has gone due to unprofitable trades. I think it might due to lack of experiences while at the same time I have implemented all skills and good trading plan acquired by expert forex group. I keep on trade and again deposited $500 into account. Along the way while using the platform I figured out repeated frozen of platform and inconsistent charges of spread and other fees especially on EUR/USD pair. Then, I only realized what they have done to my money when I just got a profit nearly to $700. They closed all transaction and blocked all trading system. They are disaster and stole trader’s money. Be aware with this broker!! No problems with this broker so far. Its speed of execution is great, my orders are placed in 1 second. Also, I have received good earnings from my trading here. Spreads in major currencies are from 1 pip and the broker allows several types of strategies to trade. The support team is very dedicated to clients. They reply my emails very fast and solve problems in the best way possible.